Wind turbine noise, flicker, disruption, damage? Call them. Your MPP Monte Monte McNaughton, Bob Bailey, or Lisa Thompson. Media. Seriously. Otherwise your complaint will be buried amongst others. Sarnia Observer, London Free Press, Blackburn News, Petrolia Independent etc. ***Keep a record of all your complaints. Ask for complaint numbers, names of who you are speaking with, heck – voice record the conversations!! These records have a habit of ‘getting lost’, and it’s your word against theirs. 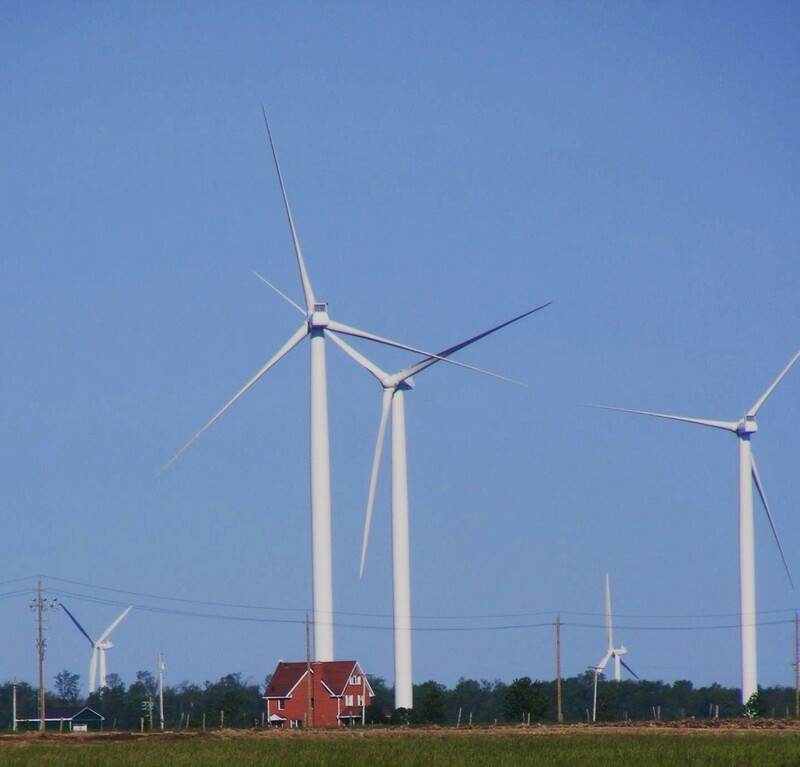 Suncor is proposing another wind power project in Lambton County. The company says it’s planning to bid for a renewable energy contract with the province for a 60-MW Nauvoo Wind Power Project proposed for eastern Lambton’s Warwick and Brooke-Alvinston townships. Recently, Suncor, along with project partner NextEra, began construction of the 100-MW, 46-turbine, Cedar Point wind farm in Plympton-Wyoming, Lambton Shores and Warwick. The company has scheduled public meetings in June for its new Nauvoo proposal. Applications from companies seeking contracts to build up to 300 MW of new wind energy generation across the province are due to be submitted by Sept. 1 to Ontario’s Independent Electricity System Operator, with the successful bids expected to be announced late in the year. 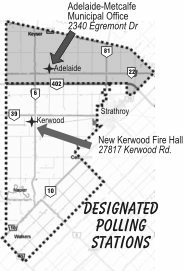 • June 24, 6 p.m. to 9 p.m., at the Adelaide-Metcalfe Township Hall, Egremont Drive, Strathroy. 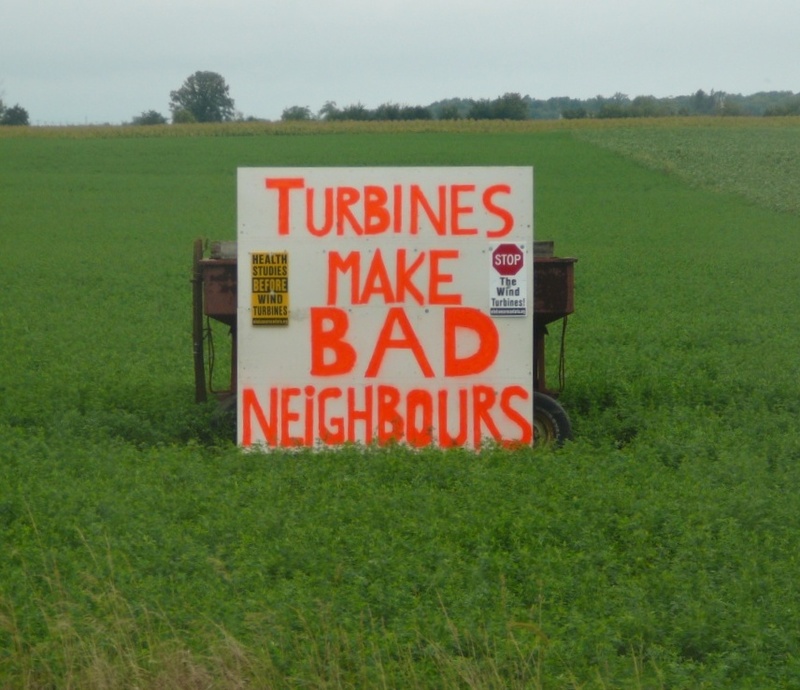 The Municipality of North Middlesex took the bold and celebrated step several months ago and decided to fight the NextEra Bornish Wind approval of 45 turbines, at the Environmental Review Tribunal (ERT). 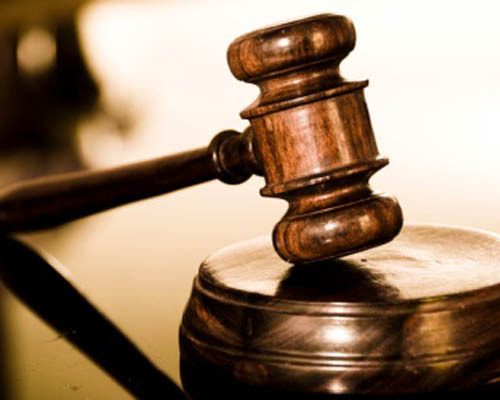 But in a ruling the ERT decided it would not allow the municipality constitutional protection and the ability to file a claim for constitutional relief. Instead of backing down, North Mid is taking the ERT to court this Friday! Changes are expected “very soon” to give municipalities more power regarding the location of green energy projects, but it doesn’t instill much hope in a local anti-wind advocate. “I don’t imagine it will take any (wind turbines) down that are there,” said Lisa Michaud, a member of Chatham-Kent Wind Action Group. The Thamesville-area woman joined the group after her family launched a lawsuit against Suncor Energy in 2011. The lawsuit claims they have suffered such symptoms as vertigo, nausea and sleep disruption caused by the Kent Breeze Wind Farm being located near their home. She doesn’t believe any rule changes will have much of an impact, because she feels the Municipality of Chatham-Kent supports green energy projects. Here we are NextError – come Terrorize our nest! Some beautiful shots taken of the Bornish Ealges in the recently approved NextEra wind project. It’s wealthy corporate behemoths supported by the government against vulnerable people with limited financial resources. Toronto Star – When there’s social injustice, you don’t expect large corporations, the provincial government and a union like the CAW to be climbing into bed together to ignore the problem. But slap a motherhood label on the issue, such as the so-called“Green Energy” Act, and all of a sudden it’s OK to ignore the very real hardships, both health and financial, happening to people in non-Liberal ridings. What’s more surprising about the wind-turbine debacle, though, is the relatively low media profile that Ontario residents who are being negatively affected by the monster machines are receiving. News outlets and publications usually lap up stories of social injustice. The problems associated with lead paint, urea-formaldehyde foam insulation, asbestos and cigarettes are all famous for the media attention they received that led to change. But it was difficult even to find news stories last week about the wind turbine protest at the energy conference in downtown Toronto. People from across the province pooled their resources to hire buses to come to the city to try to draw attention to their plight. If there was a broadcast or a print story, I didn’t hear or see it. My thoughts for the Wainfleet Rally are relatively simple – we will follow the successful plan that played out in Toronto, May of last year with bus loads/car pooling arriving from all over the province and the (informed) media giving us plenty of coverage. Tell as many people as you are able about this event and encourage them to attend (my previous email will help those understand what these 511 foot monsters are about to do to our once great province). This rally will be conducted orderly, safe, within the law and then disperse after our message has been heard. Plan to arrive somewhere between 10:00 a.m. and 11:00 a.m. on Friday, February 22nd; 10845 Rathfon Rd Wainfleet MAP. Bring signs of all shapes and sizes and anything else you feel will draw attention to our plight here in rural Ontario (dress warmly – who knows what the weather may be). Fax, email, phone or use any other method necessary to convince your local council members to attend this crucial Wainfleet Symposium. Contact any media connections you may have and make sure they are aware of our rally. Below you will find the links to the agenda – application form (required by the 15th) and contact/phone numbers with any questions you may have. A subsidiary of an American energy company has chainsawed a bald eagle nest to make way for a wind turbine with the blessing of Ontario bureaucrats, The Free Press has learned. NextEra Energy Canada took down the nest Saturday in Haldimand County as horrified onlookers snapped photographs — the incident already has drawn outrage from environmentalists in Ontario and even in the United States. 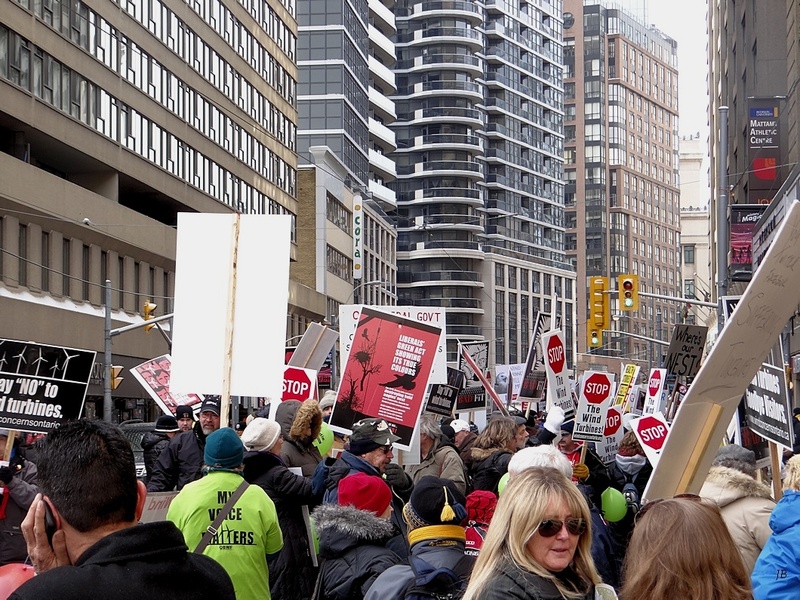 Onlookers claim that no one with Ontario’s natural resources ministry, which approved the nest removal, even bothered to show up to insure it was done properly. “This issue has people infuriated, and rightly so,” said Esther Wrightman, a wind farm opponent. Ed. Note: There was a general boycott of the Chatham Pembina Institute meeting, as the London venue on the previous night was not allowing those who were present to speak. If they did, security and police were called in to remove them. How’s that for freedom of speech?? Emotions remained calm as 20 people turned out for a wind turbine meeting in Chatham Wednesday night. Despite the low attendance, the event still produced some thoughtful exchanges on the controversial renewable energy source. The meeting, held at the Sunset Lounge (the former CAW Hall), was organized by the Pembina Institute of Alberta. It was the third of three meetings held this week, following sessions in Grand Bend and London. During the meeting Heidi Eijgel, a rancher from Pincher Creek, Alta., shared her experience of living next to Canada’s first commercial wind farm for more than a decade. Heidi and her husband Dave raise horses on a ranch near approximately 60 wind turbines (the closest is about 700 metres). Eijgel told the meeting they don’t own any wind turbines and she was speaking in favour of the development as a volunteer. Noting that 2003 was interesting year for the couple, she said wind companies as well as oil and gas companies that were planning developments in their area approached them. The latter group was seeking to build a sour gas well. “It was a really challenging time for me and my husband because we had found our dream farm, and I don’t know if I could have lived there with a sour gas well in our backyard,” said Eijgel. She added she felt she was being bullied and “lied to” over the development. The relationship with the wind company, she said, was completely opposite. “We had a good rapport and they answered our questions,” said Eijgel. As for living near the turbines, Eijgel doesn’t find them bothersome. “To me it sounds like a train off in the distance,” she noted. She also said the turbines also don’t bother her horses or other livestock on the other farms in the area. On potential wild life damage, she noted the company took steps to mitigate the turbines’ impact on bats. The measures were implemented following a study of a rise in deaths of bats in the area. Pembina officials said the purpose of the meeting was to have a conversation and start a dialogue rather than seek a consensus. And the meeting delivered in the regard. Nikki Horton gave a different perspective of living near turbines. The Dealtown resident said she has a lot in common with Eijgel, noting that she and her husband our living in their dream home and she supports the concept of green energy. But for Horton that is where the similarities ended. “Unfortunately, for the people in this area, there are far less stories than yours,” said Horton. Horton, reading from prepared notes wondered if Eijgel would feel the same about turbines if they were so close that the house “literally shook” and things would vibrate off the shelves. She then listed a number of health concerns including headaches, nausea, heart palpitations, trouble sleeping and rashes. “It’s been four years for me and I just hope something I said might resonate to the fact that more homework needs to be going on,” said Horton. Wind turbines are bad for health and bad for the economy. 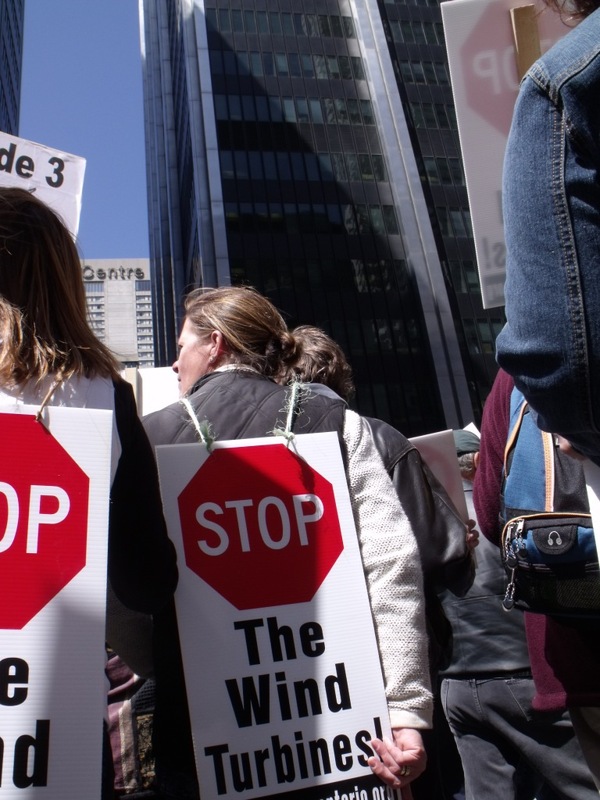 And the Middlesex – Lambton Wind Action Group is calling on municipal and provincial politicians to stop the proliferation of wind projects in Lambton County. Group spokesman Mike Mahood of Thedford told the Rotary Club of Sarnia Bluewaterland that if left unchallenged Suncor Energy will build 250 turbines 600 feet high along Lake Huron in Lambton Shores. And he says another 150 will dot the County from Forest through to Watford and into Plympton Wyoming. Four of the giant turbines known as the Zephyr Wind Plant are under construction at Watford and Mahood says that’s just the beginning. Mahood says McGuinty continues to ignore world – wide research that points to negative human and animal health impacts. Low frequency noise, shadow flicker and stray voltage are causing sleep disturbances, dizziness and nausea in humans along with low milk and egg production in farm animals he says. 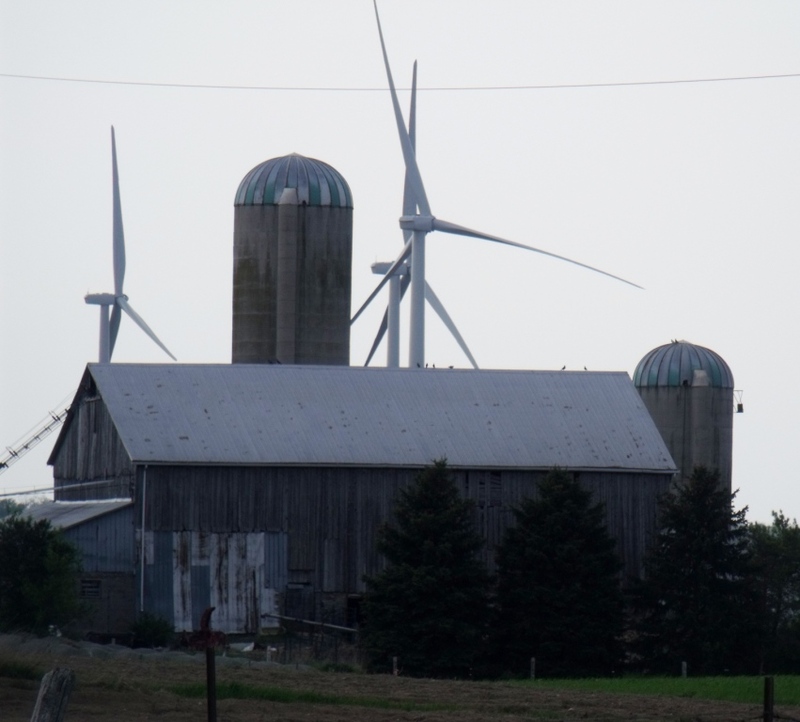 The Ontario Federation of Agriculture has made a wise decision, with its recent withdrawal of support for new wind turbines in rural Ontario, for a number of reasons. In his letter, “Wind Trumps Nuclear”, Gideon Forman shows that he doesn’t understand the anger that has been directed against wind turbines in this province. None of the protest groups has ever claimed that wind power is worse for your health than coal or nuclear. But because wind is safer, Forman seems to think Ontarians should happily allow industries to put windmills wherever they wish, to let the provincial government continue to trample on individual and municipal rights, to ignore declining property values due to nearby windmills, and to ignore any possible link between windmills and repeated cases of ill health. I find it apalling that an association of physicians is willing to allow the health risks that seem to follow windmills. Doctors in Ontario, the US and Europe have all recommended that windmills be set back far more than Ontario’s 550 meters. The French Academy of Medicine recommends 1500 meters, and some American doctors recommend 2000 meters or more. 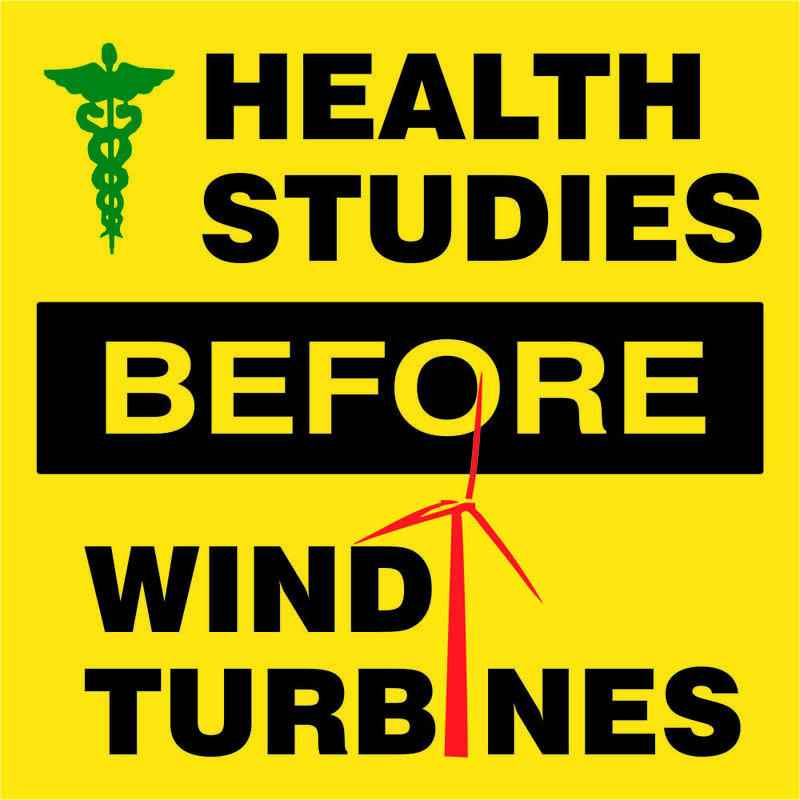 Given the correlation between windmills and stories of poor health, even if there is not yet a proven direct link, any group of physicians worthy of the name should at least be pushing for more than 550 meters between windmills and houses. It is unacceptable that the best the Canadian Association of Physicians for the Environment can do is to advocate that we let people suffer for the common good. I wonder if Forman has ever looked into how these structures are produced and from what they are produced, what their longevity is and what happens to them when they fail. His letter is about as far from accurate as one could get. Many of Ontario’s residents are reporting health problems they claim are caused by wind-turbine syndrome, but letters such as Forman’s suggest they are all liars or possibly, it’s in their heads. There are way too many persons claiming ill effects by wind turbines, so dismissing them all is not credible. The only thing green about wind-generated electricity is all the extra green each Ontarian has to pay for this “green energy.” Wind is notoriously unreliable, blowing when not needed and needed when not blowing – which means if the so-called non-green production is cut too much, we’ll not have the capacity needed to heat or cool our homes during severe periods of weather, resulting in the death of vulnerable people when the power fails. 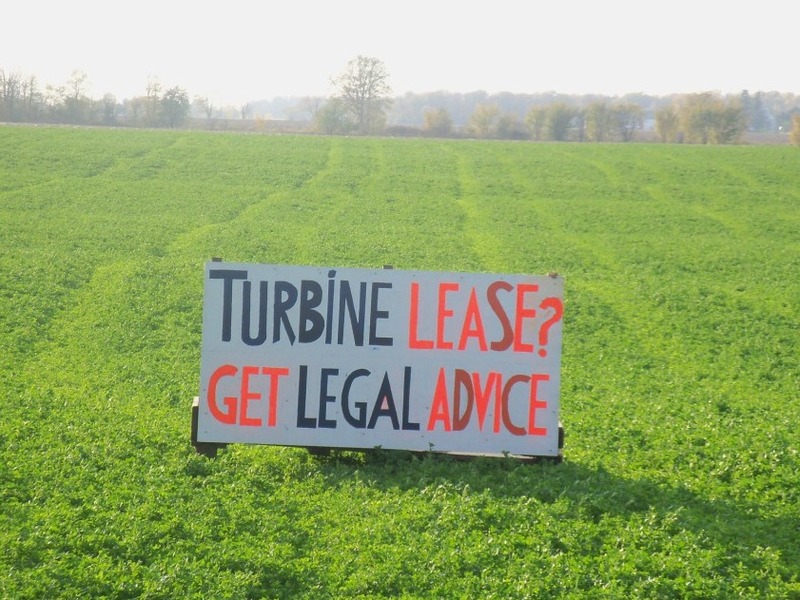 Spotted near Thedford, ON (Lambton Shores) where 276+ industiral wind turbines are proposed for this township. About 200 people gathered in Seaforth last week to protest the St. Columban Wind Project as part of a larger message to the McGuinty government to stop pursuing industrial wind projects across rural Ontario without further investigation. The opposition rally was held outside the community centre as representatives from St. Columban Energy LP hosted an open house inside the building regarding the 15-turbine project. Huron East Against Turbines (HEAT) president Gerry Ryan told the crowd – which included members of Central Huron Against Turbines, Huron-Kinloss Against Lakeside Turbines, Huron East council, residents from St. Columban, Bluewater, Lambton Shores and Dufferin County, among others – that wind turbine development is destroying communities. Jose Menendez, St. Columban Energy LP’s vice-president of business development, said the public’s main concerns continue to be property devaluation, turbine decommissioning and possible negative health affects. The company provided information that addressed those concerns at the open house, he added. HEAT would like to see a study commissioned that proves there are no negative health impacts. Two years ago, Barbara Ashbee and her husband moved from their home that was located within the 133-turbine Melancthon-Amaranth wind farm in Dufferin County. While they lived near the turbines, Ashbee said she suffered from sleep deprivation, headaches, heart palpitations and cognitive problems that included trouble concentrating. Ashbee said the way the Ministry of Environment handled her family’s claims upset her most. While visiting the home, a ministry official told them they were the only ones within the community who had filed a health complaint regarding low frequency noise. Ashbee later attended a Dufferin County council meeting where she heard an Environment Ministry representative inform councillors that actually over 300 complaints had been filed. Others speakers included HEAT members Rob Tetu and Tom Melady, Dean Trentowsky of West and East Perth Against Turbines and Arran-Elderslie deputy mayor Mark Davis. In a heated speech, Davis said it was “a sad state of affairs” that residents opposed to wind turbines had to gather for a rally. “It makes my blood boil to think that our government wants to fill our night skies with red flashing lights like we’re in some kind of a war zone,” Davis said. St. Columban Energy LP representatives were at the open house fielding questions related to human health, concerns about low frequency noise, the environment and property values. Menendez said all questions and concerns will be recorded and taken into consideration. The company will present its next set of documents related to the project to the Ontario Power Authority before the next open house, slated to be held sometime this fall. “They’re going to get a rubber stamp after this meeting unless eventually something stops this. We want meaningful consultation, not a room full of placards,” Tetu said. Asked to list some of the potential negative aspects of the project, Menendez admitted turbines will take “some” agricultural land out of production and residents will have to be patient during the construction period. Asked how he felt about the project dividing rural communities, Menendez said it’s out of his company’s hands. “I’m not saying that it’s not our problem, but I’m not sure there’s anything that we can do to mitigate that,” he said. 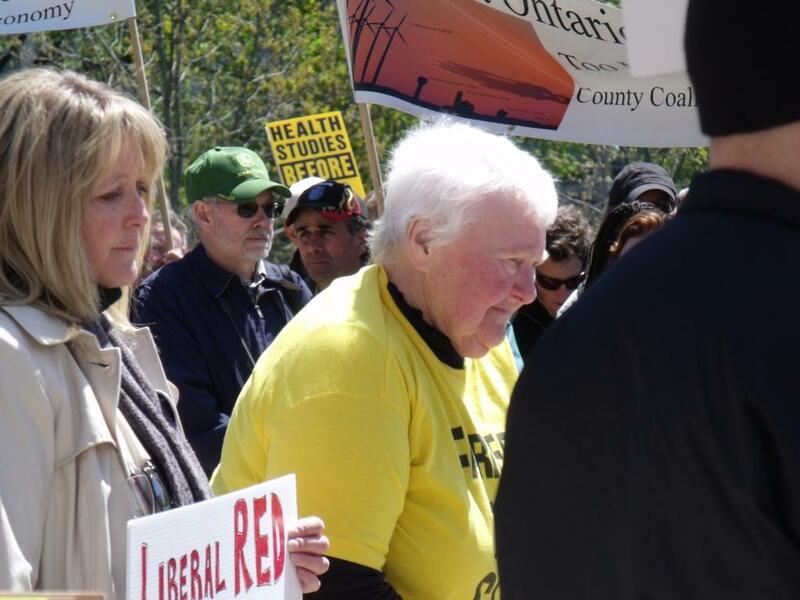 Esther Wrightman was organizing a wind turbine protest march to the Strathroy office or Lambton-Kent-Middlesex MPP Maria Van Bommel when she noticed something interesting about the route. The 550-metre distance from the Kenwick Mall parking lot to Van Bommel’s downtown office is the same distance wind turbines in Ontario can be erected adjacent to homes. 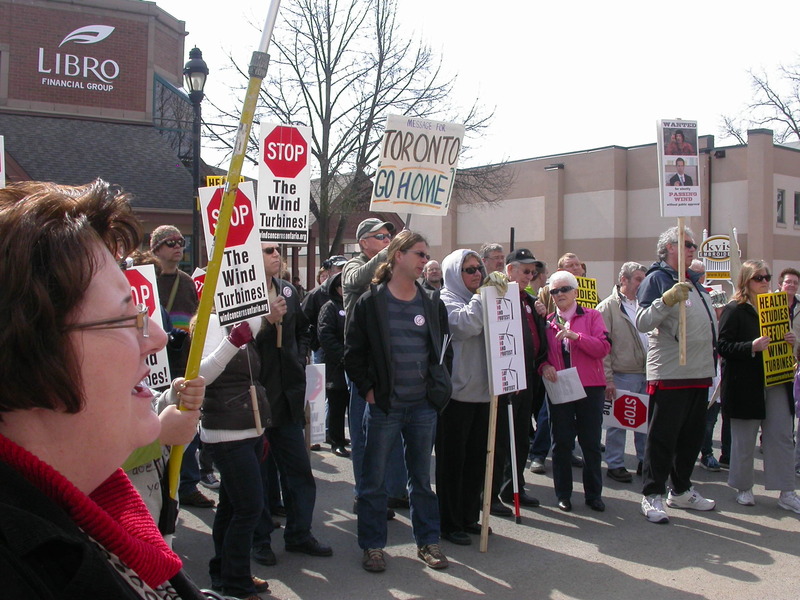 The coincidence led Wrightman to call the April 2 event, The 550m March to your MPP’s Office. “I hope it catches on and other towns do it too,” she said. Wind Turbines: Friend or foe? Election day is coming up on October 25th, 2010. We asked the candidates for Adelaide-Metcalfe council to answer some questions on Wind Turbine development, along with a couple of questions on public involvement with our township council. ….more including candidates full responses…. These citizens, have been forced from their homes by IWT’s. 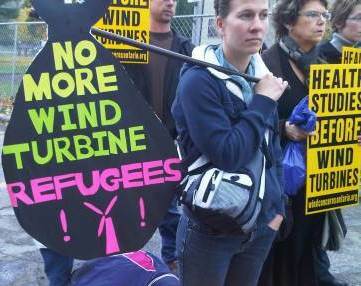 No more Wind Turbine REFUGEES! Great news for residents of Adelaide-Metcalfe and North Middlesex… the township councils have supported a resolution, forwarded by the Township of Manvers and Grey County, asking for a moratorium on wind turbine construction until proper health, economic impact, environmental and property studies are completed! After half a year of explaining the pitfalls of wind turbines to our councils, they have decided that our communities health is more imortant then the industalization of our countryside with wind turbines(or maybe there are just too many residents upset for them to ignore the issue anymore…and that election is coming up too…). In any case a huge thank goes out to all those who have wrote letters, talked to their neighbours, posted signs and help spread the word to all the residents in Adelaide and Bornish- it has paid off! Now we must look at our MPP Maria van Bommell and ask her who she is representing in Queens Park. 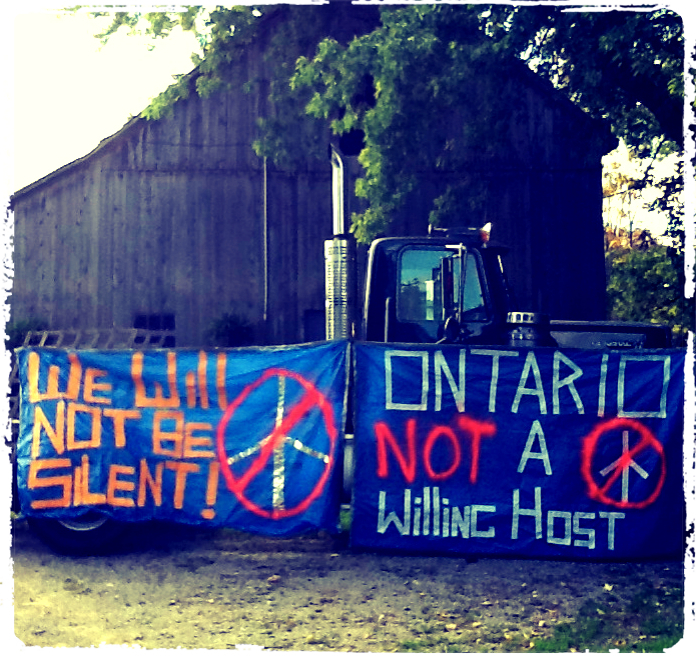 Pretty soon all of rural Ontario will be giving a good, loud, clear NO to Mr. McGuinty. Another thank-you goes out to our township councils for taking a stance on this issue and putting their constituents concerns ahead of the wind salesmen’s propoganda pitch.